No, it wasn’t an “honest mistake” it was a targeted attack against Sarah Palin! WZ: The excuse doesn’t fly when your paper acknowledges the truth in a different article on the same day. Also claiming ‘honest mistake’ doesn’t excuse the obligation of due diligence. 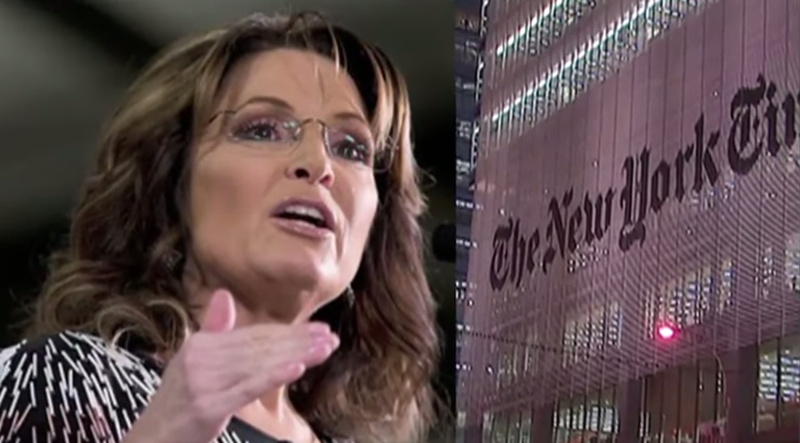 NY Post: Sarah Palin’s defamation lawsuit against The New York Times should be tossed because the paper made “an honest mistake” when it said she incited a 2011 shooting that severely wounded Arizona Rep. Gabby Giffords and killed six people, a lawyer for the Gray Lady said on Friday.